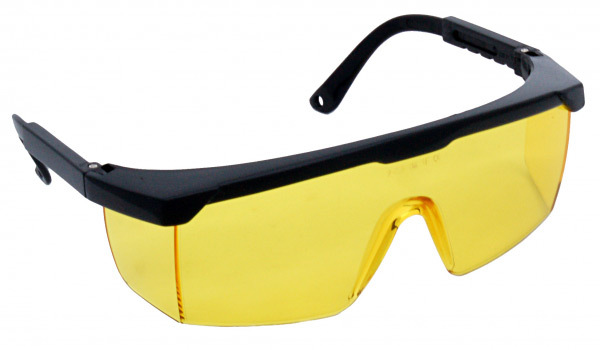 Wrap-around, amber safety glasses with UV-coated lens and adjustable temples. — Ships from Tigard, Oregon USA. For more information, please visit the manufacturer Zenport's website.